433 in stock Need More ? 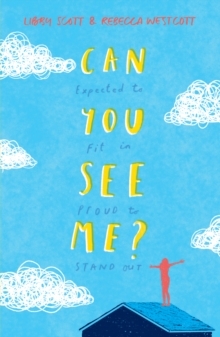 Endearing, insightful and warmly uplifting, Can You SeeMe? is a story of autism, empathy and kindness that will touch readers of all ages. Tally is eleven years old and she's just like her friends. Well, sometimes she is. If she tries really hard to be. Because there's something that makes Tally not the same as her friends. Something she can't cover up, no matter how hard she tries: Tally is autistic. Tally's autism means there are things that bother her even though she wishes they didn't. It means that some people misunderstand, her and feel frustrated by her. People think that because Tally's autistic, she doesn'trealise what they're thinking, but Tally sees and hears - and notices - all of it. And, honestly? That's not the easiest thing to live with. Perfect for fans of Wonder and The Goldfish Boy, this sucker punch to the heart is valuable reading for children and adults alike.